Mmmmm. mmmmmm.. yummmmm... it's kulfi that melts in your mouth. I had milk at home that I wanted to use up. 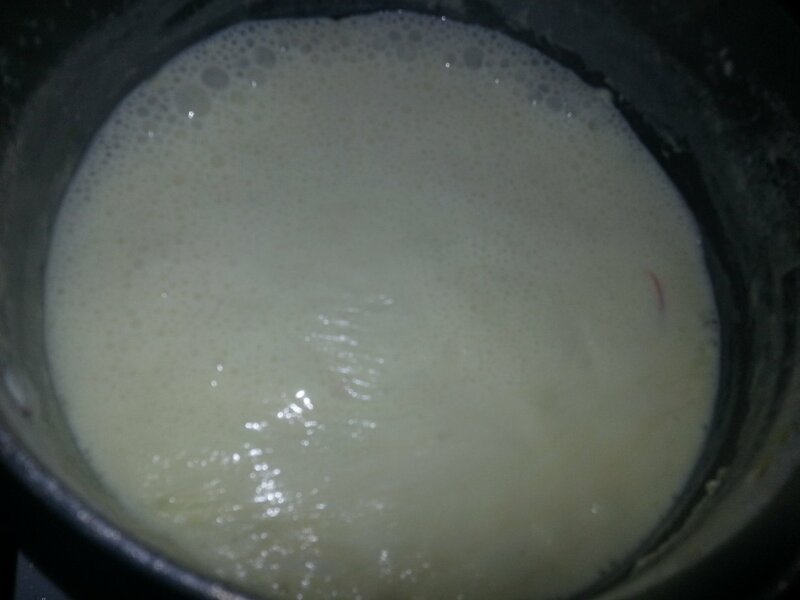 Plan was to make Rasmalai when Plan B came up. 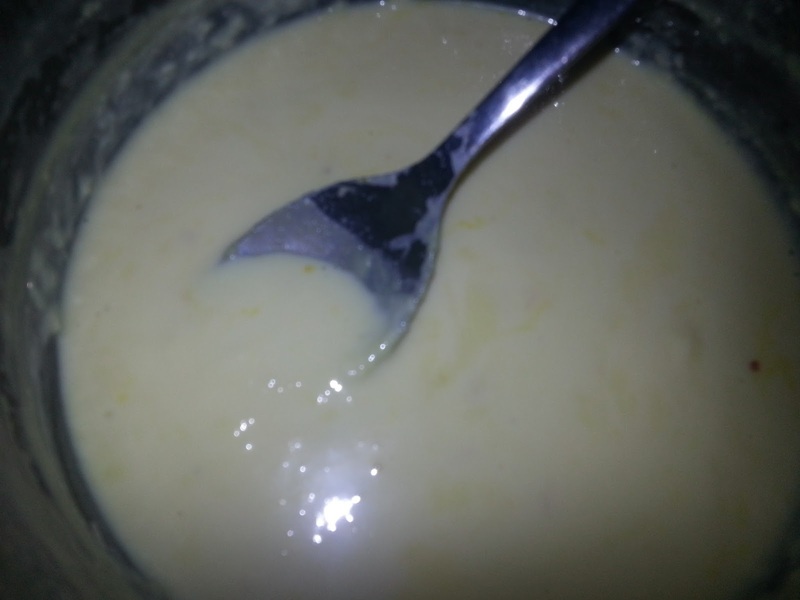 Why not try to make Kulfi?? I looked up a few recipes online and then selected one to use as the reference. I was not too sure how it would taste till I tasted the first spoon and it was heavenly. It tasted awesome. A must try if you are a kulfi fan. 1. Wash a saucepan with cold water and let just some water droplets remain. You need not wipe dry it. This will prevent or reduce the milk sticking to the base and sides of the saucepan. 2. Add milk, milk powder and condensed milk and mix well without any lumps or anything sticking to the base of the saucepan. 3. Bring to a boil on medium flame stirring continuously. 4. Add the saffron and mix well. Reduce flame to low and let it continue to cook with stirring till it turns thick. This takes about 15-25 minutes. 5. Turn off flame and let it cool down completely. 6. Add chopped pistachios if using and mix. I did not add. 7. 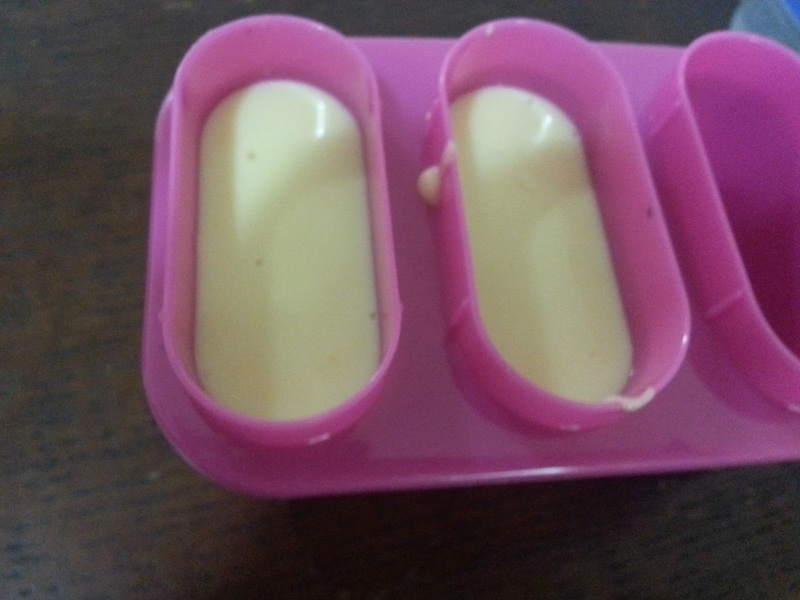 Pour equal amounts in two Popsicle moulds or in serving bowls and freeze for 6 hours or even overnight. 8. If using popsicle moulds, keep it outside the freezer for about 10 minutes before serving to remove it easily. You can even place the moulds in warm water or place them under running tap water to remove easily.